The community’s reception of the bosses of Destiny has generally been undivided. Atheon is well beloved and set a very high bar for subsequent content to try to follow up on. Crota, while not a downright bad encounter, was viewed with a great deal of criticism a few months into TDB. 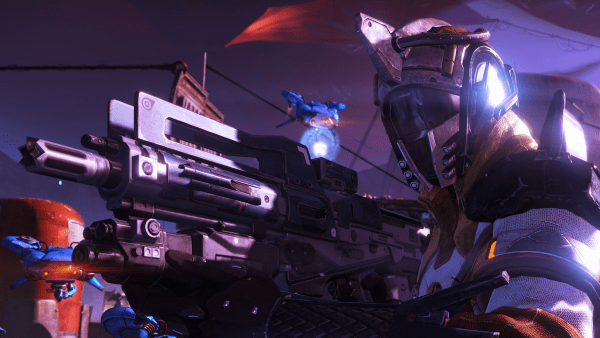 Expectations for Skolas were high from the start, and players have already begun expressing their negative opinions towards the Kell of Kells. Although given the dynamic nature of the Prison of Elders, is it too soon to be solidifying our opinions of the Fallen leader? If you missed our House of Wolves review, click here. Mechanically, Skolas is the answer to suggestions people have been making since the release of The Dark Below: An engaging set of mechanics that require coordination of an entire team, and that doesn’t leave players feeling like they will be punished for traversing the arena or engaging enemies. This time around, mobility is not only suggested, but demanded of the entire fire team. 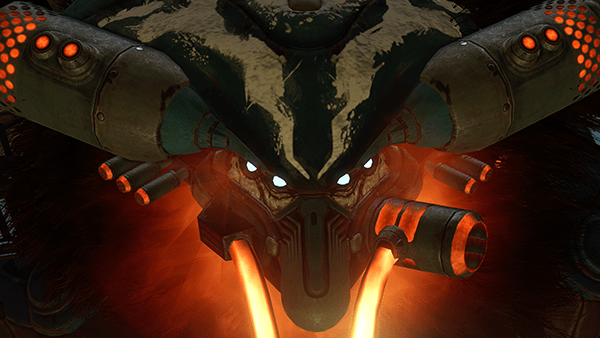 The servitors, whose destruction is required before players can inflict any real damage on the Kell, spawn at various points of the arena, their positioning and patrol paths vary widely enough to necessitate pursuit. Later, players are inflicted with the Devouring Essence debuff which requires them to be within arm’s reach of another teammate every thirty seconds while simultaneously disarming a set of mines that appear at various points across the largest combat arena to date. These mechanics give the entire team a sense of accomplishment, while at the same time allowing individuals to shine by virtue of their own talents as well as their ability to improvise rather than by taking the time to learn the mechanics of an encounter specific relic. The battle with Skolas perfectly encompasses classic final boss philosophy: to test the player on things everyone should know playing the game up to this point, the scope of which even includes the two raids prior. The pale Servitors draw a parallel to the Oracles of the Atheon fight, and the importance of both is immediately clear to any player who tries to shoot the boss first. Management of the Essence debuff works the same way as the Chalice of Light from Crota’s End, only this time requiring more active participation from teammates. Diffusing mines is a newer mechanic that players have already proven they are capable of managing under intense pressure just a few rounds prior. The Prison of Elders takes mechanics players have already mastered and challenges them to perform under even more dire circumstances than before. In terms of the mechanics, the final round of the Prison of Elders has become my own personal favorite of the boss battles. An unfortunate downside to this battle seems to be the thing that makes the rest of the Prison of Elders so great: the Round Modifier. So far I’ve had the dubious pleasure of engaging Skolas with the Solar Burn and Arc Burn modifiers, leading to my initial impression being regrettably soured. You can clearly see what Bungie was going for when designing this fight: a fast paced and high mobility skirmish. However the inclusion of elemental burns has caused a great deal of players to encounter the same issues they have had with Nightfall Strikes many times prior: enemies with a huge damage multiplier are extremely punishing to players who aren’t careful about cover and cautious with their movements. The altered pacing that results feels detrimental to the flow of the fight while the challenge that comes with elemental burns pushes things into a level of difficulty that’s nothing short of insurmountable for a majority of players. Guardians are pressured to leave cover, have a great deal of time before they can be revived, are under heavy fire from weapons that can down a guardian in one to three shots, and are dealing with a mechanic which requires debuff juggling between living members who are all within close proximity to one another. This means a flawless run can be abruptly cut short by rounding the wrong corner and running into a single dreg with a shrapnel launcher. A few bouts of bad luck like that will leave even the most patient person a bit burned out. One can’t help but wonder what this will mean for the future of the encounter. With a growing number of players hitting the level cap, more and more guardians are finding themselves humbled by that final round. Players either crying out for elemental burns to be removed, or patiently waiting for their retribution. But perhaps we are losing sight of the point. These modifiers are carried over from the Nightfall Strikes, and only ever served to force players to utilize different strategies. Changes deliberately placed over content with the knowledge that the game was not designed or balanced around these changes. It was never intended to be completely fair, but simply a new set of rules or even a handicap for veteran players set on a greater challenge. Some of the Nightfall Strikes were similarly insurmountable without drastic changes in player strategy, but the community has very consistently risen to the challenge in the past and will no doubt do so for the foreseeable future. The decision to place modifiers over Skolas’s Revenge isn’t hard to understand. Players are already familiar with every aspect of this encounter before they even run it the first time, the mechanics are very reminiscent to experience gained in the prior raids, and everyone will have gone head to head with Skolas himself at least once to get to the prison. Unlike the Vault of Glass or Crota’s End, there is nothing entirely unique to the competent endgame player, and so the focus appears to have been placed on instead giving players the most serious challenge possible. Personally, for all the frustrations suffered through my team’s battle with the Kell, I have never been as satisfied by a victory as the one earned by completing Skolas’s Revenge. For the first time I feel a real sense of pride equipping that hard earned class item and emblem, and perhaps that’s exactly what Bungie was going for. So maybe it’s not all bad. Perhaps the only reason it is received so negatively is that, unlike all the previous content that has only ever been revamped with modifiers, Skolas has no “normal” version for us to experience. This well designed and already challenging encounter appears to be unfairly hidden beneath a weekly variable that has historically served to change up how players approach high level strikes, and worked well because strikes have no specific method of completion. 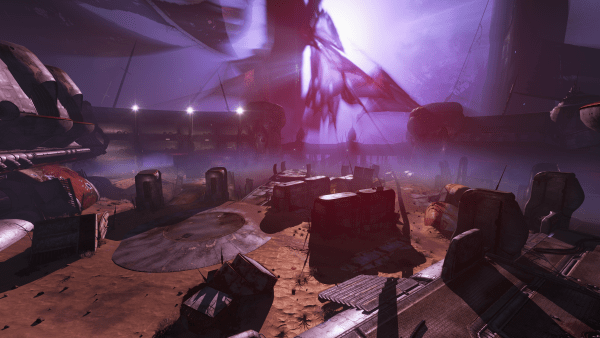 Skolas’s Revenge was designed as a challenge to a community with a tendency to find reliable methods of soloing previous six-man content. But for how well it does that job, it only teases at one of the most enjoyable and mechanically sound encounters to date. One that I and many others would like to see made available without the additional burden posed by a weekly modifier, if not only because we have always been able to do so in the past. We find ourselves facing the final enemy in an unbalanced challenge mode lacking a point of reference, and so can’t help but criticize it as though it were a more standard difficulty. While this is a completely understandable thing to do, we might be doing a disservice to ourselves to view the Prison in such a manner. If there was one unfortunate point to be made about the PoE, we would have to consider that which motivates us to keep coming back: Loot. For all of it’s challenge and variability, there just isn’t much of an incentive for taking a shot at the level 35 challenge mode besides the elemental primary weapons. Collectors seeking cosmetic items can collect them all with a single completion, and the only reason to return is a another set of elemental primaries with the Fallen Aesthetic & OK perks. Etheric Light, Armor and Weapon Cores, reputation, and even the Elder Cipher exotics can be collected without even setting foot in the level 35 challenge. It would seem that the main motivation to engage Skolas would be for the sake of experiencing the fight, or to try your luck at the discouragingly low chance at a new weapon. For the difficulty posed by the challenge modes, some players may find that the effort is simply not worth the rewards or possible lack therof, and that feels like a big missed opportunity. Fortunately, many of the concerns about Skolas are subject to change on a weekly basis. The rotational nature of the PoE may even prove to be a boon, once the more popular or helpful modifiers start coming into play. There will be tons of freedom for players to engage these challenges on their own terms in the future, and we want to hear your opinions about what the Prison has to offer. Do you enjoy the Arena? What do you think PoE needs to be even better? Don’t hesitate to let us know how you feel about the activity as a whole! Previous Post:The Taken King at E3?